An excellent pair of ski trousers for fun on the slopes - the Salomon Icemania Pant! 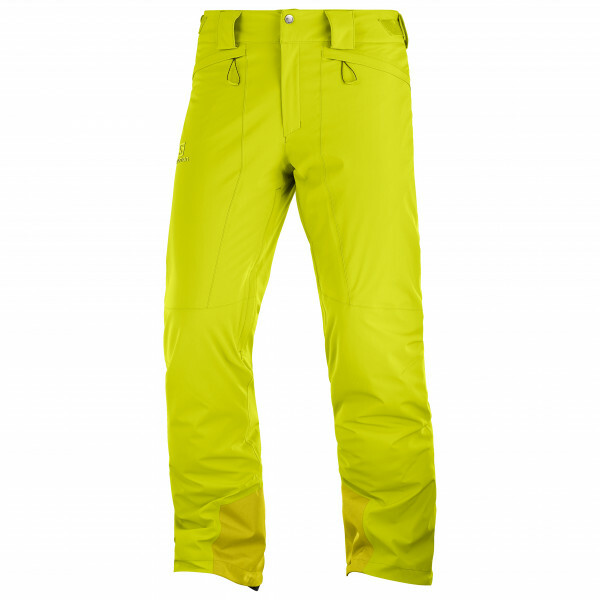 Thanks to the AdvancedSkin Dry fabric, the trousers are completely windproof and waterproof. Plus, all seams are taped as well. The gaiters will keep both snow and cold winds out so that you stay dry and comfortable. The stretchy outer fabric with MotionFit technology is not only tough but also makes for a great fit and allows for maximum freedom of movement whilst skiing. 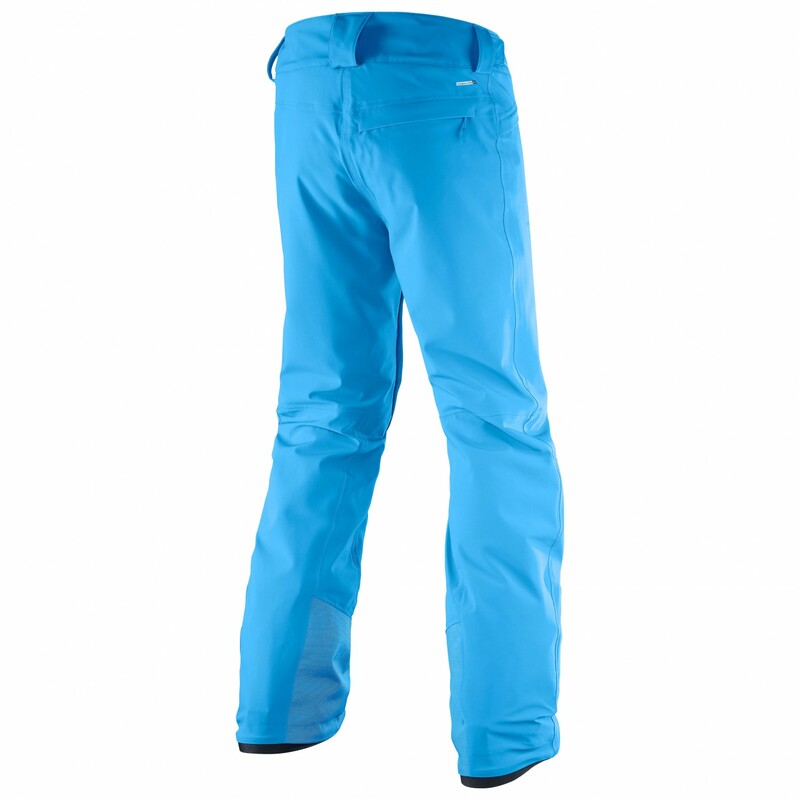 Thanks to the AdvancedSkin Warm insulation, the trousers will keep your legs nice and warm on those cold winter days. Plus, the trousers just feel great against the skin. The waistband, which is made of moisture-wicking AdvancedSkin ActiveDry fabric, is adjustable, allowing you to achieve the perfect fit. The inner leg air vents come complete with mesh backing, so you'll have the ventilation you need on those tough downhill runs. Other excellent features include the scuff guard and the three pockets for storing your important personal items. 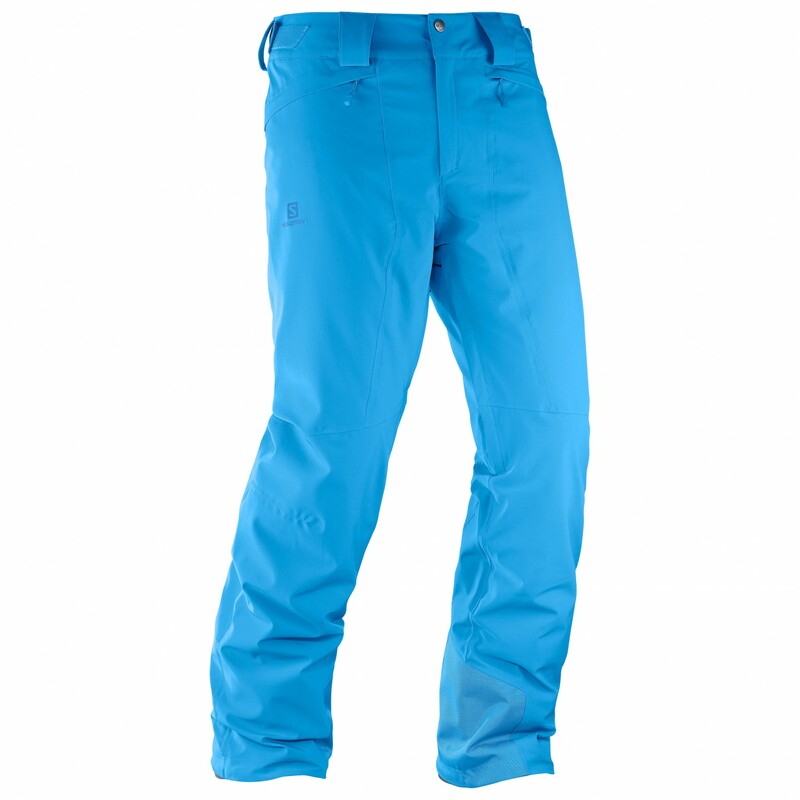 With the Icemania Pant from Salomon, you'll be ready for some fun in the snow!